Custom bridal jewelry is not only a way to get that perfect finishing touch to your look, but it can also help you solve some issues you may be facing. Brides have come to me to help them with struggles such as a large bridal party, many different styles of bridesmaids dresses, or they just can’t find what they are looking for. 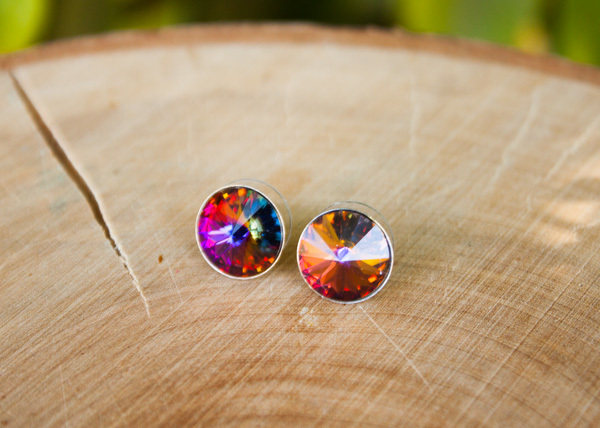 Here are some real examples of recent ways custom bridal jewelry has helped my brides. Jenn had hardest time finding jewelry she liked in her price range for a bridal party of 7 bridesmaids. 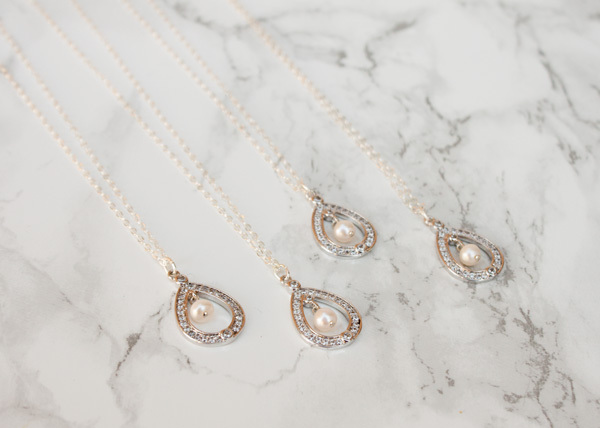 However, she wanted to give the gift of jewelry because it gave her bridal party a cohesive look. 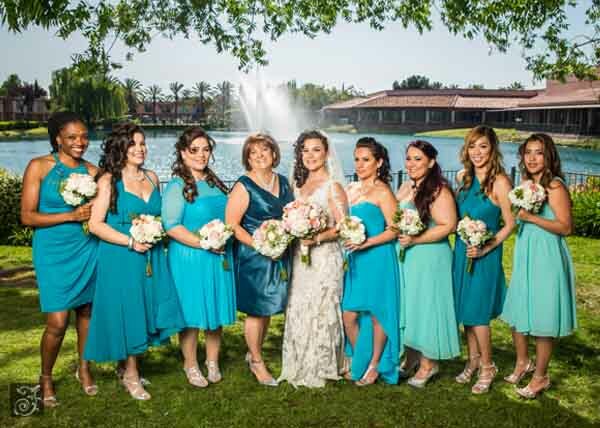 Together we created her bridal jewelry and the same bridesmaid necklace and earrings for all 7 of her girls and stayed within her budget. 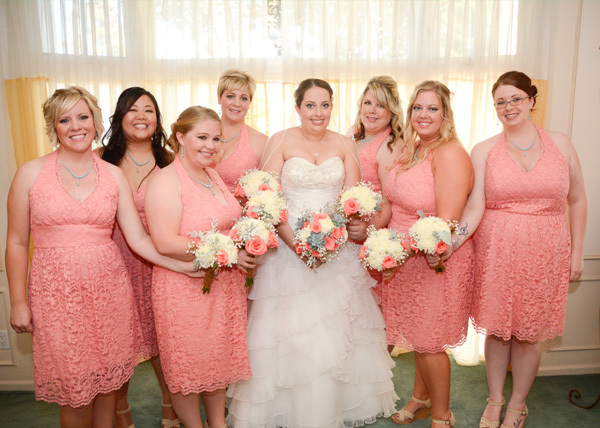 Samantha let her bridesmaids choose their dress styles and the groom had two groomswomen in a contrasting color. These are both exciting trends, but it can make giving jewelry difficult. We designed different necklace and earring sets for each based on their dresses but used similar colors and materials to create a cohesive look. 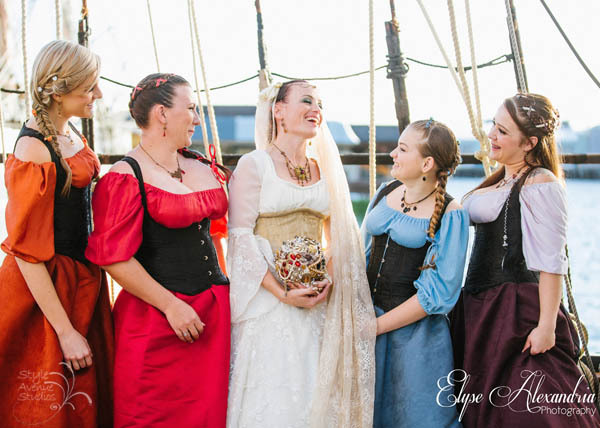 Katy planned a spectacular pirate themed wedding. She didn't want the cliche party, but a true representation of the time. Since her wedding gown and bridesmaid dresses were custom made we designed some truly unique jewelry specific to her theme that added the perfect touch to her vision. Nicole loved the idea of custom jewelry because she had many people she wanted to give gifts too: her bridesmaids, sister, and mothers. Plus, her groom also had two groomswomen standing by him. 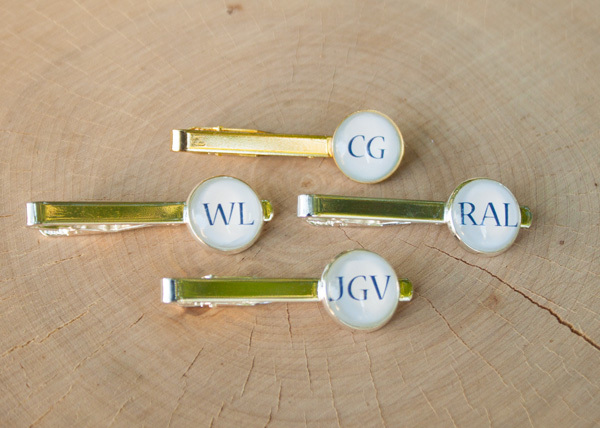 Not only were we able to create jewelry for her and her bridal party, but we outfitted the groom & groomsmen with monogram tie tacks. Many brides tell me they can't find dainty & delicate bridal jewelry. It is all large and chunky, something that takes the attention away from their gown. They just want the perfect finishing touch, not a statement piece. Together we are able to pick and choose the elements they like and create the perfect bridal jewelry set they can feel comfortable in. And it is something they want to wear again for every anniversary! In addition to these brides, I have also solved the following problems with custom bridal jewelry. Created the same earring set using clip-ons.